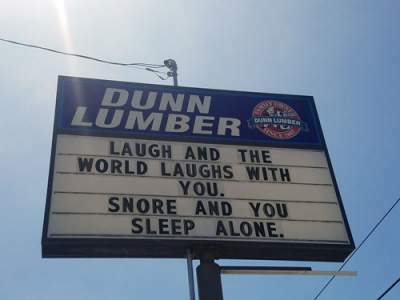 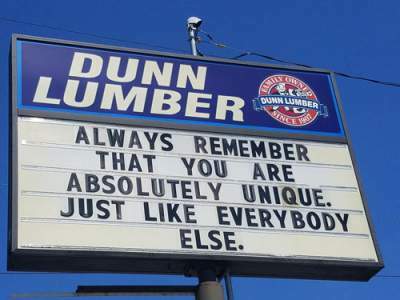 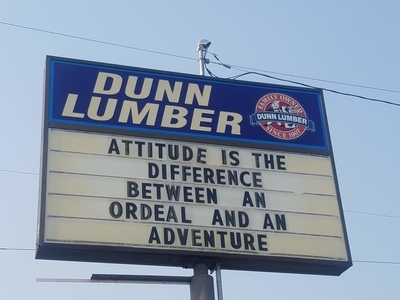 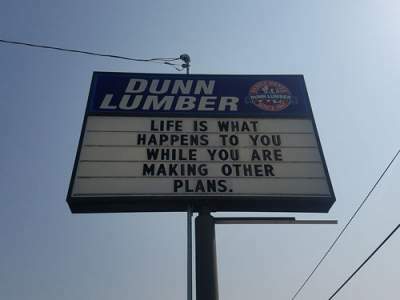 Laugh at the Dunn Lumber’s Sign in Seattle on Aurora Ave. 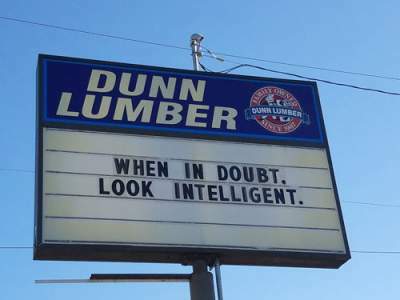 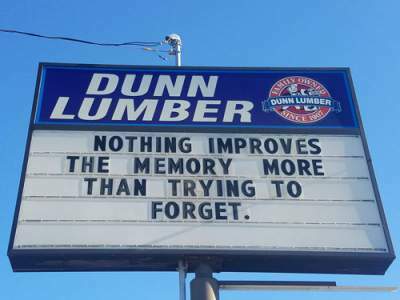 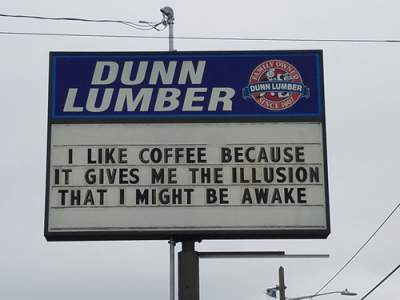 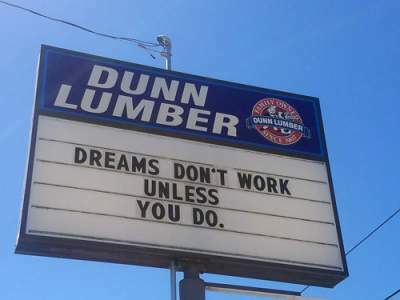 I slow down to read the sign at Dunn Lumber on Aurora in Seattle. 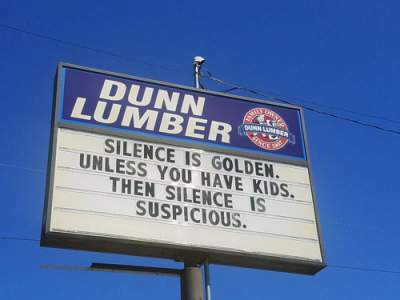 Funny but often dead on. 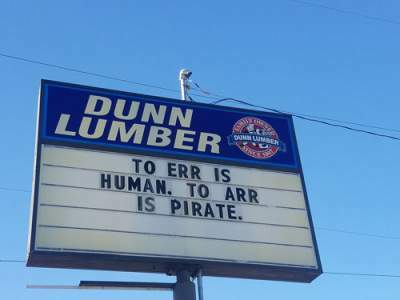 They’re funny enough that I stop and take a photo more often than not.